The village has a number of active Neighbourhood Watch areas with roads and lanes covered by a scheme. Voluntary co-ordinators pass on messages and help to ensure the community is vigilant to crime threats. Quite simply, NHW means neighbours look after each other. And being part of an NHW scheme is straightforward. There is little work to do beyond being a good neighbour and being vigilant to any suspicious activity. Taking preventative measures – such as not leaving valuables or tool in parked vehicles – can help avoid our area being targeted as ‘easy pickings’ by criminals. Neighbours can raise awareness of new telephone or online scams, or unwelcome door to door visitors. 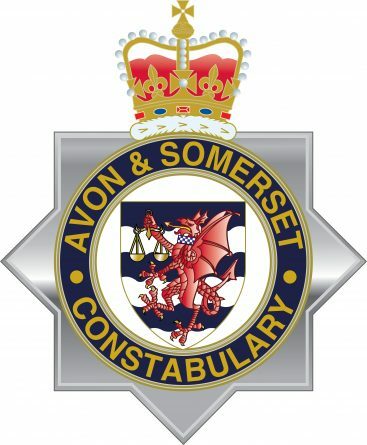 For more information, please see the Avon & Somerset Police NHW page. Avon & Somerset Police’s NHW administrators send email alerts to individual NHW co-ordinators on a regular basis. These consist mainly of crime alerts and preventative advice, with the occasional message from the Police Commissioner, or notice of open days. NHW co-ordinators pass the alerts on to their scheme members via email, or other means for those not online. An archive of these messages since September 2017 can be seen in the Breach Hill Lane NHW Google group, to which alerts are automatically posted. These alerts are also manually posted to the Chew Stoke Village Telegraph group on Facebook. Chew Stoke lies within the Pensford & Chew Valley area and the current beat team can be found on the Avon & Somerset Police website. If you don’t need an emergency response from the Police, but wish to seek advice or report a crime, then you should call the non-emergency number 101, or use the online reporting form on the A&S Police website. Do this, for example, if your car has been stolen, your property has been damaged, or you suspect drug use or dealing in your neighbourhood. Calls to 101 incur a 15p charge but this is a flat fee for the entirety of the call, including from mobiles. Dave Jones is the overall co-ordinator for Chew Stoke and for Breach Hill Lane. Contact him via the ourwatch scheme homepage. For data protection reasons the personal details of NHW coordinators is not published on this website. If you live within a NHW scheme area and wish to find out or who your local co-ordinator is; or if you live in an area not covered by a scheme but are interested in setting one up, please contact Dave who can help you register the scheme with the Police and contact your neighbours. You can find out more about the NHW coordinator role on ourwatch.org.uk.